Dr. Bennett is a physician scientist who has focused his scholarly and clinical career on the delivery of primary health services to vulnerable populations in the US and in developing countries. He is a family physician providing full spectrum primary care including obstetric, family planning, pediatric and general adult health care. He conducts health services research in the implementation of evidence based models in primary care with a focus on mental health in the context of pregnancy and postpartum. He has particular expertise in the delivery of health services within Federally Qualified Health Centers (FQHCs) and is the PI of a national randomized trial of the implementation of collaborative care for perinatal depression in health centers. He completed a fellowship in the Implementation Research Institute funded by the NIH at Washington University. He has also been funded by the AHRQ and Grand Challenges Canada to study mHealth strategies to extend the reach of services for women from vulnerable populations in pregnancy both in the US and Peru. Dr. Bennett also has active collaborations in Nigeria and Vietnam focused on perinatal depression care. He is the co-director of the Healthier Washington Practice Transformation Support Hub Resource Portal, a project of the Primary Care Innovation Lab, which makes use of a participatory design strategy for its development. 1R01MH108548-01 (NIH/NIMH) BENNETT, IAN Moore (PI) 01/01/16-12/30/20; Remote Consultation for Implementing Collaborative Care for Perinatal Depression, $4.2 Million. AU/PCTE (HRSA) BENNETT, IAN Moore (Patterson PI)) 07/01/16-6/30/17; The Impact of Telepsychiatry Services on the Training of Rural Primary Care Teams in Integrated Behavioral Healthcare $150,000. Ref # 19713 (California Health Care Foundation) BENNETT, IAN Moore (PI) 08/01/16-2/30/20; MInD-I; Collaborative care for perinatal depression in CA FQHCs $335,470. Contract # N21944 - Developing a web based clearinghouse/portal to support practice transformation in Washington (Department of Health of the state of Washington, Bennett/Thompson co-PI, 6/2016-2/2019 $2.7 Million. 1. Jefferies L, Goldman J, Bennett I, Spitalnik S, Silberstein L: Anti Pr2 auto-antibodies in patient with chronic cold agglutinin disease. Transfusion 30(6): 459, 1989. 2. Bennett, IM: Bari loricarid collection and the value of information: an application of optimal foraging theory. Human Ecology 19(4): 517, 1991. 3. Ludvico L, Bennett IM, Beckerman, S: Risk sensitive foraging behavior among the Bari. Human Ecology 19(4): 509, 1991. 4. Zeleznic W, Bennett IM,: Assumption validity in human optimal foraging; the Bari hunters of Venezuela as a test case. Human Ecology 19(4): 499, 1991. 5. Bennett IM. Perussia B.: Effects of IL-12 on human natural killer cell differentiation. Annals of the New York Academy of Sciences 795: 181-88, October 1996. 6. Bennett IM, Zatsepina O, Zamai L, Azzoni L, Mikheeva T, Perussia B: Definition of a natural killer NKR-P1A+/CD56-/CD16- functionally immature human NK cell subset that differentiates in vitro in the presence of interleukin 12. Journal of Experimental Medicine 184(5): 1845-56, November 1996. 7. Zamai L, Vitale M, Bennett IM, Croce CM, Perussia B: A novel surface marker (B203.13) of human haemopoietic progenitors, preferentially expressed along the B and myeloid lineages. British Journal of Haematology 102(4): 965-75, September 1998. 8. Azzoni L, Zatsepina O, Abebe B, Bennett IM, Kanakaraj P, Perussia B: Differential transcriptional regulation of CD161 and a novel gene, 197/15a,by IL-2, IL-15, and IL-12 in NK and T cells. Journal of Immunology 161(7): 3493-500, October 1998. 9. Zamai L, Ahmad M, Bennett IM, Azzoni L, Alnemri ES, Perussia B: Natural killer (NK) cell-mediated cytotoxicity: differential use of TRAIL and Fas ligand by immature and mature human NK cells. Journal of Experimental Medicine 188(12): 2375-80, December 1998. 10. Bennett IM, Robbins S, Haecker T : Screening for low literacy among adult caregivers of pediatric patients. Family Medicine 35(8): 585-90, September 2003. 11. Bennett, IM, Kripalani S, Weiss B, and Coyne C: Combining cancer control information with adult literacy education: opportunities to reach adults with limited-literacy skills. Cancer Control 10(5): 2-4, September-October 2003. 12. Castrucci B, Culhane C, Chung E, Bennett I, McCollum K: Smoking in Pregnancy: Patient and Provider Risk Reduction Behavior. Journal of Public Health Management and Practice 12(1): 68-76, January-February 2006. 13. Bennett IM, Culhane JF, McCollum K F, Elo IT: Unintended Rapid Repeat Pregnancy and Low Education Status: Any Role for Depression and Contraceptive Use? American Journal of Obstetrics & Gynecology 194(3): 749-54, Mar 2006. 14. Bennett I, Aguirre AC, Burg J, Finkel M, Bowman K, and Fleischman J: Initiating abortion training in residency programs: issues and obstacles. Family Medicine 38(5): 330-335, May 2006. 15. Graham J, Bennett IM, Holmes W, Gross R: Medication Beliefs as Mediators of the Health Literacy-Antiretroviral Adherence Relationship in HIV-infected Individuals. AIDS and Behavior 11(3): 385-92, May 2006. 16. Wu JP, Bennett I, Levine JP, Aguirre AC, Bellamy S, Fleischman J.: The effect of a simple educational intervention on interest in early abortion training among family medicine residents Contraception 73(6): 613-7, Jun 2006. 17. Bennett IM, Switzer J, Aguirre AC, Evans K, Barg F: Breaking it Down: Patient-Provider Communication and Prenatal Care Utilization Among African American Women with Low and Higher Literacy. Annals of Family Medicine 4(4): 334-340, July/August 2006 Notes: PMC1522153. 18. Apter AJ, Cheng J, Small D, Albert C, Fine DG, Bennett IM, George M, Van Horn S: Asthma Numeracy Skill and Health Literacy. Journal of Asthma 403(9): 705-710, November 2006. 19. 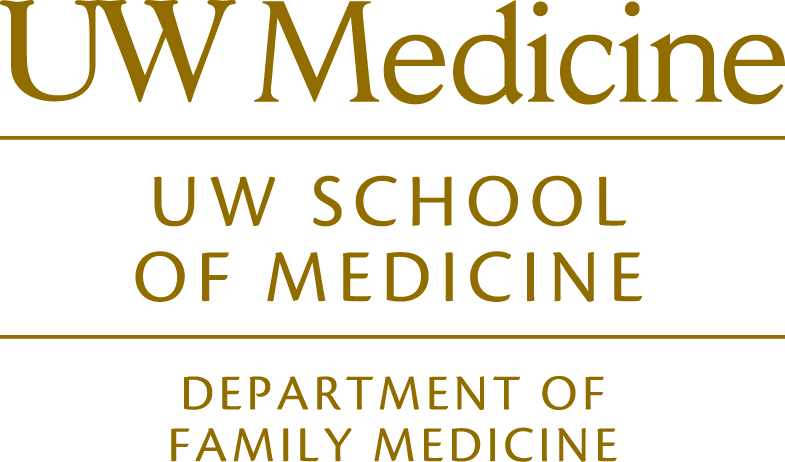 Bennett IM, Johnson M, Wu JP, Kalkstein K, Wolf E, Bellamy S, Fleischman J: A Family Medicine Training Collaborative in Early Abortion. Family Medicine 39(3): 164-166, March 2007. 20. Bennett IM, Culhane JF, McCollum KF, Mathew L, Elo IT: Literacy and Depressive Symptomatology Among Pregnant Latinas with Limited English Proficiency. American Journal of Orthopsychiatry 77(2): 243-248, April 2007. 21. Bennett IM, Coco A, Coyne JC, Mitchell AJ, Nicholson J, Johnson E, Horst M, Ratcliffe S: Efficiency of a Two-Item Pre-Screen to Reduce the Burden of Depression Screening in Pregnancy and Postpartum: An IMPLICIT Network Study. Journal of the American Board of Family Medicine 21(4): 317-325, Jul-Aug 2008. 22. Webb DA, Bloch J, Coyne J, Chung E, Bennett IM, Culhane JF: Postpartum physical symptoms in new mothers: their relationship to functional limitations and emotional well-being Birth: Issues in Perinatal Care. Wiley, 35(3): 179-87, September 2008. 23. Apter AJ, Paasche-Orlow MK, Remillard JT, Bennett IM, Ben-Joseph EP, Batista RM, Hyde J, Rudd RE: Numeracy and Communication with Patients: they are counting on us Journal of General Internal Medicine 23(12): 2117, October 2008. 24. Bennett IM, Pinder P, Szesniak R, Culhane JF: Take Charge of Your Health: A Collaborative Health Literacy Intervention Linking Adult Education and Maternal-Infant Health Care Focus on Basics. World Education, 9(B): 14-20, October 2008. 26. Wallace LS, DeVoe JE, Bennett IM, Roskos SE, Fryer GE: Perceptions of Healthcare Providers' Communication Skills: Do They Differ between Urban and Non-Urban Residents? Health and Place 14(4): 635-660, December 2008. 27. Cronholm PF, Margo K, Bazelon G, Bream K, Bennett IM, Barg FK: Student attitudes: Potential barriers to implementing a community medicine field activity. Family Medicine 41(1): 22-27, January 2009. 28. Nicholson JM, Caughey A, Stenson MH, Cronholm P, Kellar L, Bennett I, Margo K, Stratton J: The active management of risk in multiparous pregnancy at term: association between a higher preventive labor induction rate and improved birth outcomes. American Journal of Obstetrics and Gynecology 200(250): e1-250.e13, March 2009. 29. Bennett IM, White S, Chen J, Soroui JS: The Contribution of Health Literacy to Disparities in Self-Rated Health Status and Preventive Health Behaviors in Older Adults Annals of Family Medicine 7(3): 204-11, May /June 2009. 30. Apter AJ, Wang X, Bogen D, Bennett IM, Jennings RM, Garcia L, Sharpe T, Frazier C, Ten Have T : Linking Numeracy and Asthma-related Quality of Life. Patient Education and Counseling 75: 386-391, June 2009 Notes: from K23. 31. Bennett IM, Coco A, Anderson J, Horst M, Gambler AS, Brooks Barr W, Ratcliffe S: Improving Maternal Care with a Continuous Quality Improvement Strategy: A Report from the Interventions to Minimize Preterm and Low Birth Weight Infants through Continuous Improvement Techniques (IMPLICIT) Network. Journal of the American Board of Family Medicine 22(4): 380-86, July-August 2009. 32. Bennett IM, Palmer S, Marcus S, Nicholson JN, Hantsoo L, Bellamy S, Rinaldi J, Coyne JC: "One End Has Nothing to do With the Other;" Patient Attitudes Regarding Help Seeking Intention for Depression in Gynecologic and Obstetric Settings. Archives of Women's Mental Health 12: 301-308, October 2009 Notes: DOI 10.1007/s00737-009-0103-4. 33. Bennett IM, Johnson M, Kalkstein K, Gillespie G, Bellamy SL, Fleischman J: Early Abortion in Family Medicine: Clinical Outcomes. Annals of Family Medicine 7(6): 527-533, Nov-Dec 2009. 34. Bennett IM, Marcus S, Palmer S, Coyne JC: Pregnancy Related Discontinuation of Anti-Depressant Use and Depression Care Visits Among Medicaid Recipients. Psychiatric Services 61(4), April 2010. 35. Bennett IM, Culhane JF, Webb DA, Coyne JC, Hogan V, Mathew L, Elo IT: Perceived Discrimination and Depressive Symptomatology, Smoking, and Recent Alcohol Use in Pregnancy. Birth: Issues in Perinatal Care. Diony Young (eds.). Willey/Blackwell, 37(2): 90-97, June 2010 Notes: From K23. 36. Hanisch LJ, Bennett IM, Freeman EW, Coyne JC: Hot Flashes During Pregnancy: A Comparative Study. European Journal of Obstetrics & Gynecology and Reproductive Biology 151(1): 38-40, July 2010 Notes: DOI: 10.1016/j.ejogrb.2010.03.021. 37. Bloch JR, Webb DA, Mathews L, Dennis EF, Bennett IM, Culhane JF: Beyond Marital Status: The Quality of the Mother-Father Relationship and Its Influence on Reproductive Health Behaviors and Outcomes among Unmarried Low Income Pregnant Women. Maternal and Child Health Journal 14(5): 726-34, August 2010 Notes: Published Online August 2009. 38. Webb DA, Coyne JC, Goldenberg RL, Hogan VK, Elo IT, Bloch JR, Mathew L, Bennett IM, Dennis EF, Culhane JF: Recruitment and retention of women in a large randomized control trial to reduce repeat preterm births: the Philadelphia Collaborative Preterm Prevention Project. BMC Medical Research Methodology 10(88), August 2010. 39. Silk H, King R, Bennett IM, Chessman A,Savageau J: Assessing Oral Health Curriculum in US Family Medicine Residency Programs: A National Survey Family Medicine 44(10): 719-722, Nov-Dec 2012. 40. Bennett IM, Frasso R, Bellamy S, Wortham S, Gross K: Pre teen literacy and subsequent teenage childbearing in a US population. Contraception 87(4): 459-464, April 2013. 41. Andrea J. Apter, Fei Wan, Susan Reisine, Bruce Bender,Cynthia Rand, Daniel Bogen, Ian Bennett, Tyra Bryant-Stephens, Jason Roy, Rodalyn Gonzalez, Chantel Priolo, Thomas Ten Have, Knashawn Morales: The Association of Health Literacy with Adherence and Outcomes in Moderate-Severe Asthma. J All and Clin Immunol 132(2): 321-7, Aug 2013. 42. Apter AJ, Wan F, Reisine S, Bogen DK, Rand C, Bender B, Bennett IM, Gonzalez R, Priolo C, Sonnad SS, Bryant-Stephens T, Ferguson M, Boyd RC, Ten Have T, Roy J.: Feasibility, acceptability and preliminary effectiveness of patient advocates for improving asthma outcomes in adults. J Asthma 50(8): 850-60, October 2013. 43. Herbitter C, Bennett A, Schubert F, Bennett IM, Gold M: Management of Early Pregnancy Failure and Induced Abortion by Family Medicine Educators. J Amer Board Fam Med Nov-Dec 2013. 44. Meunier M, Bennett IM, Coco A: Antidepressant Medication use in Pregnancy in the United States from 2002-2010. Psychiatric Services. American Psychiatric Publishing, 64(11), November 2013 Notes: doi: 10.1176/appi.ps.201200455. 45. Willis DR, Bennett IM, Jones BG, Renshaw SE,Holley M, Dankoski ME: Practice-Based Learning and Improvement in Family Medicine Student Clerkships: A CERA Study. Family Medicine Journal. J Saultz, 46(6): 423-428, June 2014. 46. Wallace L, Macerollo A, Oza R, Mack D, Bennett I: Academic family medicine physicians' confidence and comfort with opioid analgesic prescribing for patients with chronic non-malignant pain. Journal of Opioid Management 10(4): 255-61, Jul-Aug 2014. 47. Lorenzo-Luaces L, Derubeis R, Bennett IM: Primary Care Physician's Selection of Low Intensity Treatments for Patients with Depression. Family Medicine 47(7): 511-16, 2015. 48. Hernandez-Mekonnen R., Duggan E., Oliveros-Rosen L., Gerdes M., Wortham S., Ludmir J., Bennett I.M. Health literacy in unauthorized Mexican immigrant mothers and risk of developmental delay in their children. J Immigrant Minority Health In Press. 50. Ruiz-Grosso P, Bernabe-Ortiz A, Diez-Canseco F, Gilman RH, Checkley W, Bennett IM, Miranda JJ: Depressive mood among within-country migrants in periurban shantytowns of Lima, Peru. J Immigrant Minority Health 2015. 56. Rosener SE, Barr WB, Frayne DG, Barash JH, Gross ME, Bennett IM: Interconception Care for Mothers During Well-Child Visits With Family Physicians: An IMPLICIT Network Study. Ann Fam Med July/August(2016) 14:350-355; doi:10.1370/afm.1933. 58. Faherty LJ, Hantsoo L, Appleby, D Sammel M, Bennett I, Wiebe DJ. “MovementPatterns in Women at Risk for Perinatal Depression: Use of a Mood-Monitoring Mobile Application in Pregnancy.” Journal of the American Medical Informatics Association. [In press]. 1. Bennett IM, Cronholm P, Neill R, Chism L: Confidential Health Care for Adolescents: Opportunities and Responsibilities for Family Physicians. American Family Physician 69(5): 1056-57, March 2004. 2. Cutilli C, Bennett IM: Understanding the Health Literacy of America. Orthopaedic Nursing 28(1): 27-32, Jan-Feb 2009. 1. Bennett IM, Perussia B: Purification of Peripheral Blood Natural Killer Cells. Methods in Molecular Medicine. Jones GE (eds.). Humana Press, Totowa USA, 1996. 3. Bennett IM, Kostman J: Infectious Emergencies. Office Emergencies. Bowman M, Baxt W (eds.). Saunders, Philadelphia, 2002. 4. Cronholm PF, Bennett IM, Neill R: Effects of Mandatory Parental Notification on Adolescent's Use of Sexual Health Services. JAMA 288(23): 2970, December 2002. 5. Bennett, IM: Sexual and Reproductive Health. Essential Family Medicine. Rakel, R (eds.). Saunders, Elsevier, Philadelphia, 2006. 6. Gracia CR, Bennett IM, Wieder DR, Barnhart KT: Is there an optimal algorithm treatment of infertility? Fertility and Sterility 82(3): 764-765 February 2007 Notes: DOI: 10.1016/j.fertnstert.2004.06.004. 7. Bennett IM, Baylson M: Management of Miscarriage. Evidence at Hand. Wiley, 2009 Notes: Chapter on the medical and surgical management of early pregnancy failure(miscarriage) in the primary care setting. Detailed evidence review and protocols are presented. 8. Lipinoga S., Wortham S., Bennett I.M. : Increasing parent involvement in the new latino diaspora. Revisiting Education in the New Latino Diaspora. Edmund Hamman (eds.). Information Age Publishing, 1, 2015. 1. Ian Bennett, Stanton Wortham: The SNAPPS Guide, 2010-2011. Penn Center for Public Health Initiatives 1, November 2010 Notes: Guide to Preschool and Pediatric Services in the Greater Norristown Area. 1. Bennett IM, Leri D: Exposing Variation in Maternity Care Quality, Health Outcomes, and Value Childbirth Connection's Health 2.0 Developer Challenge. Childbirth Connection, March 2011 Notes: Alternative media presentation of variation in cesarean section rate over the period from 1999 to 2008. Winner of the 2011 Challenge Prize. http://www.mappinghealth.com/maternitycare. 2. Bennett IM, Wortham S: PREPPED Kids Guide. http://www.preppedkids.org/ 2011 Notes: Interactive web site. 3. Leri Damien, Bennett Ian M, Frasso Rosemarie, Tam Alex, Lee Amy, Hallden-Abberton Lauren : PreventifyMe. Health 2.0. Big Yellow Star, April 2013 Notes: healthfinder.gov Mobile App Challenge finalist sponsored by the Office of Disease Prevention and Health Promotion. 4. Bennett IM, Leri D: Preventify.me. Web application (preventify.me) 2013 Notes: Mobile web application for accessing healthfinder.gov materials. 5. Bennett IM and the SPIRIT Group: MyGamePlan. iTunes 2014 Notes: Mobile app for discharge management of patients with suicide risk. 6. Bennett IM and the SPIRIT group: TIPS-Connect depression screening. Mobile app. Tablet based mobile application for screening for risk of depression. (eds.). 2014.